I am excited about the interview trips we have planned for this summer. We are going to at least five areas where we haven’t yet done any interviews. Whenever we do these trips we get to see new places and make new friends! In early June we visit Honolulu where the Japanese Cultural and Community Center of Hawaii will help us identify individuals to interview. We then return to the mainland to go to Minneapolis, where we are partnering with the Twin Cities Chapter of the JACL. In July we travel to the Japanese American National Museum in Los Angeles to interview Nisei women, and then a couple of weeks later we go to Walnut Grove and Isleton to preserve stories about their pre-war Japantowns in partnership with Preserving California’s Japantowns. We could not do these trips without funding support. 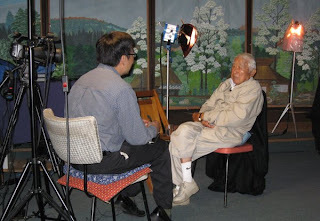 The Hawaii interviews are supported by the Tateuchi Foundation. In Minneapolis the Twin Cities JACL is holding community fundraising activities like garage sales and bake sales to help fund interviews. The California interviews are supported by the California Civil Liberties Public Education Program.